Full steam ahead for Fortunium! 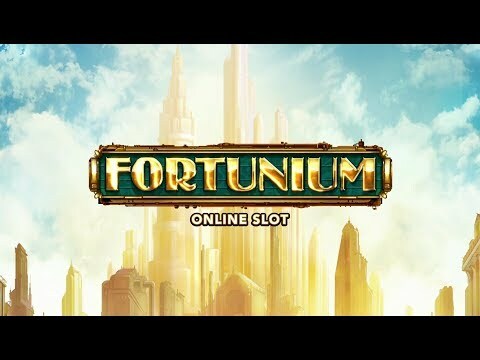 ISLE OF MAN – Microgaming presents Fortunium, created by Stormcraft Studios, a new independent game studio that will be supplying exclusive content to Microgaming. Made up of industry pioneers with decades of experience and a legacy of commercial success, Stormcraft Studios is dedicated to crafting epic gaming content which will be available exclusively to Microgaming operators. Microgaming proudly presents Fortunium, a five by five reel, steampunk themed slot, and the first official release under the new Stormcraft Studios brand. Loaded with thrilling features brought to life by stunning artwork, the thriving metropolis of Fortunium is the ultimate destination for innovators and entrepreneurs seeking acclaim and fortune. Opulence and opportunity await in base game, where super stacked Mystery Symbols can reveal a random wild, low or high symbol, granting players the chance to win big across multiple lines. Hidden fortunes await in the golden city of Fortunium, which is now live on all platforms. It is a very exciting time for us, with the release of our first official Stormcraft Studios game. Microgaming did an amazing job of launching Fortunium at ICE Totally Gaming in London earlier this year, which has created quite a buzz of expectation in the industry. There has been a very positive response to our prioritising of the portrait play experience on mobile, which we believe is a key differentiator for our studio. Designed with the mobile market in mind, Fortunium offers a premium portrait experience that will immerse players into this stunning steampunk world. The game showcases a wealth of innovative features including Mystery Reels™, super stacked Mystery Symbols and a powerful Win Booster™ to ramp up rewards. It’s been fantastic working with Stormcraft Studios – they bring a wealth of knowledge to the table and we’re excited to see what they are going to create next after this unforgettable first launch under the new Stormcraft brand.